SafeWay Driving has been saving lives in the Klein community for over 25 years. 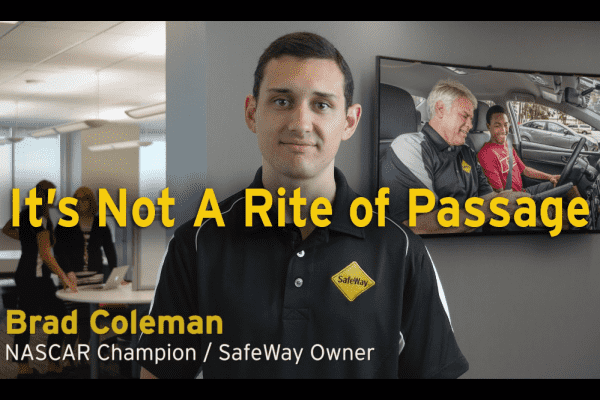 Founded to "Prevent the Phone Call Nobody Wants", SafeWay Driving provides the best online teen drivers ed, online adult courses and behind the wheel training in the Klein Spring area. Managed by longtime Klein ISD volunteer Beki Perkins, this online driving school has a driving site coveniently located across the street from Klein High School. Driving appointments are available 7 days a week by appointment. SafeWay Driving provides drivers education to drivers of all ages and experience levels. Whether you're getting your license for the first time or you are looking to increase your skills and confidence behind the wheel, you can have the peace of mind that only comes from having the best driver training with SafeWay Driving Klein. Beki Perkins and her team of instructors know that there is a difference between getting your license and truly learning how to drive. You don't learn to drive through a fun game or cool app, you learn to drive in a car. It's important to take your driver training seriously, and take it with SafeWay Driving Klein! SafeWay Klein is owned and operated by Bob and Sandy DiTullio, long-time residents of the Klein community. Bob, Sandy, and their team are committed to preventing "The Phone Call" that nobody wants to receive by providing the best driver training in the Klein area. Take your driver training seriously, and take it at SafeWay. Your employees will learn the rules of the road online then build their skills behind the wheel. Apply knowledge from the online course in the car. Learn Texas road rules and road signs conveniently online. A highly trained instructor will work with your employees privately to improve their driving skills. Dealing with the DPS can be a hassle. 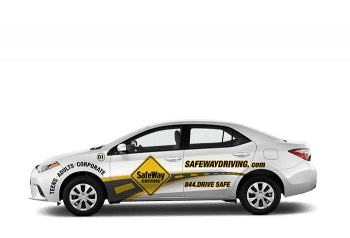 SafeWay Driving can take your employees to get their licenses and we will even let them use our vehicle for the driving test. Build your employees’ driving skills following an assessment of their driving ability. Our instructor will assess your employees’ driving skills and areas for improvement. Provided conveniently on your company’s campus, this two-hour course covers everything necessary to provide your drivers with the latest driver safety information. When packaged with our Driver Assessment and two hour Private Driver Training, it makes for the perfect team driver skills program. Build your drivers’ skills following an assessment of their driving ability. Learn the latest in driver safety at the convenience of your office. Lower your company’s risk and insurance costs with SafeWay Defensive Driving. Coming Soon! This content library will keep your employees' driving skills sharp with convenient and engaging online courses covering a variety of driving safety topics.